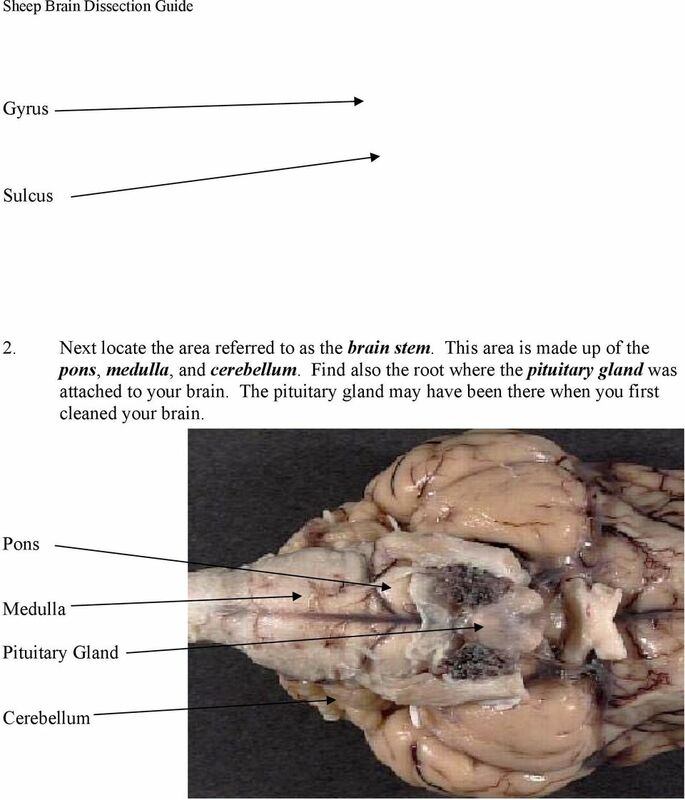 Download "DISSECTION OF THE SHEEP'S BRAIN"
1 DISSECTION OF THE SHEEP'S BRAIN Introduction The purpose of the sheep brain dissection is to familiarize you with the threedimensional structure of the brain and teach you one of the great methods of studying the brain: looking at its structure. One of the great truths of studying biology is the saying that "anatomy precedes physiology". You will get sick of me saying that phrase this phrase if I teach well. What this phrase means is that how something is put together tells us much about how it works. My challenge to you with this exercise and throughout the term will be to examine a structure and think what this means about the operation of the brain. 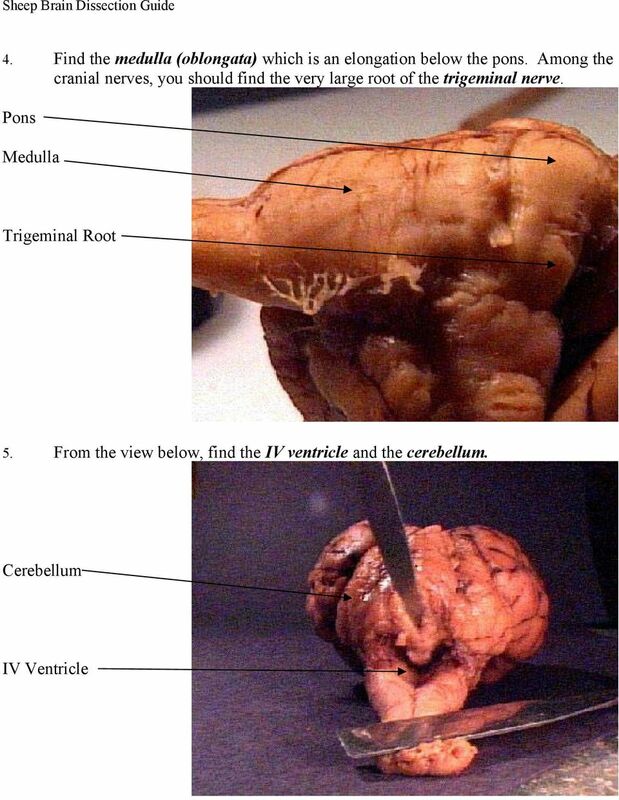 Your ideas can be as valid as anyone else's who has tackled this delightfully impossible task if you think carefully While the course will emphasize the human brain, observation and evolution indicate that there are many similarities between the sheep brain and the human brain. 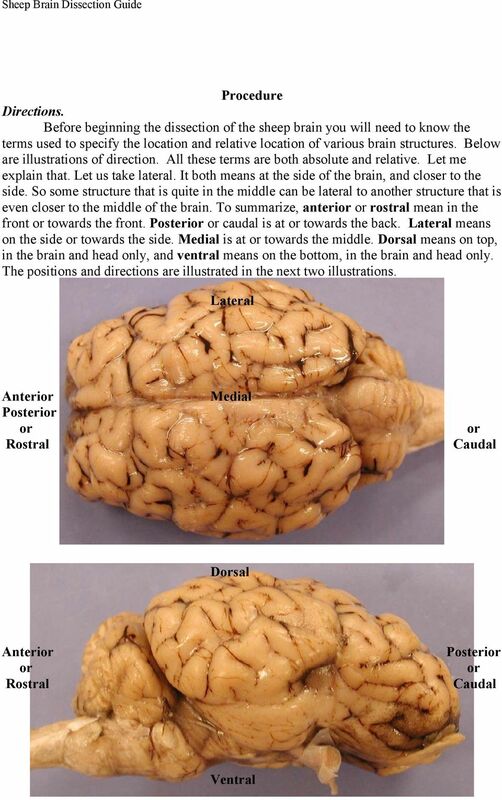 Even the differences are instructive and help us to learn about the brain. Being able to locate important structures in the sheep brain will be of great benefit to understanding how structures are related to each other in the human brain. 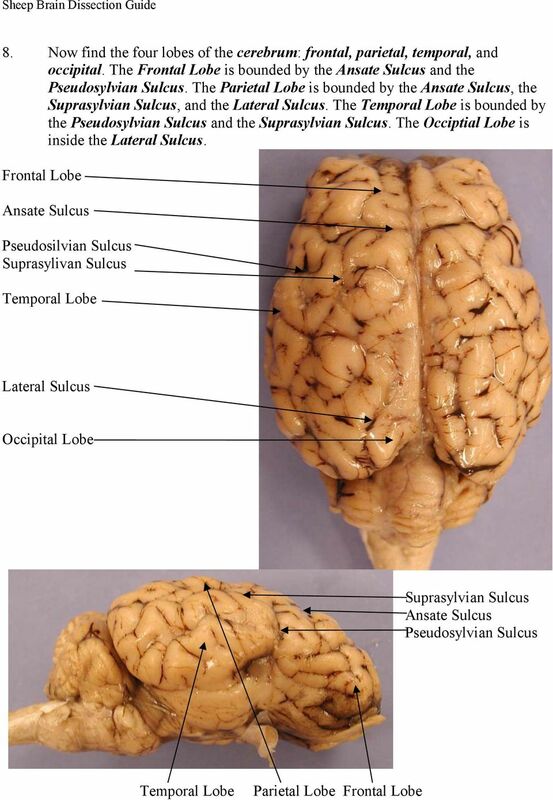 If the same structure exists in both brains (and most structures are the same), they are in the same relative location. 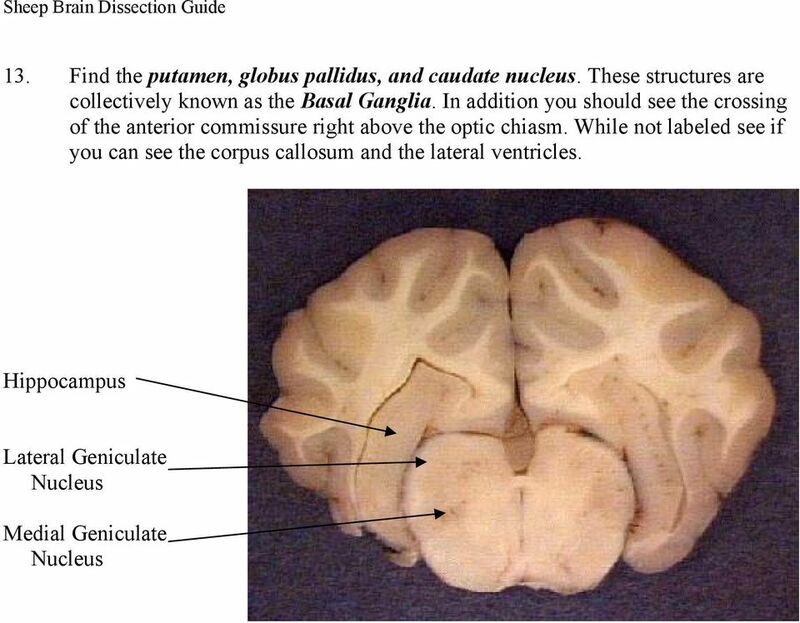 During the course of the dissection, I will point out some of the differences between brains so that you will be better able to appreciate the development of the human brain. 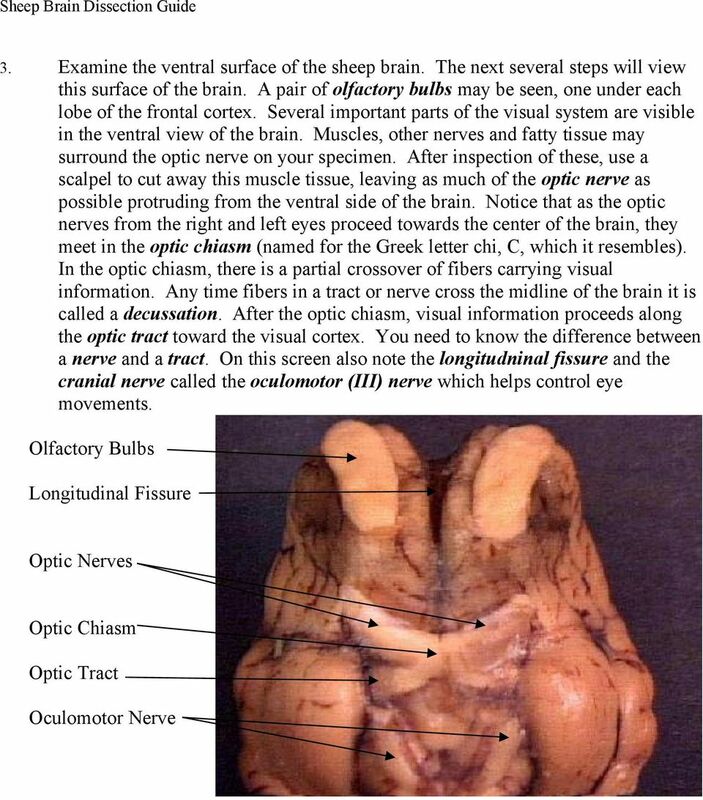 It is extremely important for the rest of the class that you learn the structure of the sheep's brain well. 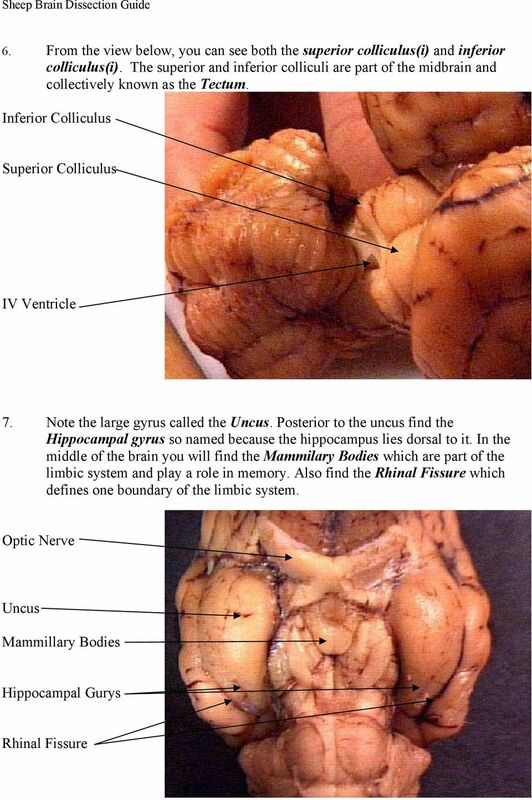 In the rest of the course, we will regularly refer to structures that we examine in this dissection. Please follow the following steps in order. All terms that you need to know are in bold italics the first time they are listed. Materials and Preparation. 1. Before beginning inspection and dissection of the brain you should have these materials on hand: dissection pan dissection kit: brain scalpel probe scissors 2. The brains are stored in a preservative solution. To minimize the drying of your hands, rinse the brain under a slow stream of running water before proceeding with the dissection. When not in use, the brains should be stored in preservative solution in the container given to you and sealed tightly. 3. These steps will need to be repeated prior to each laboratory session. 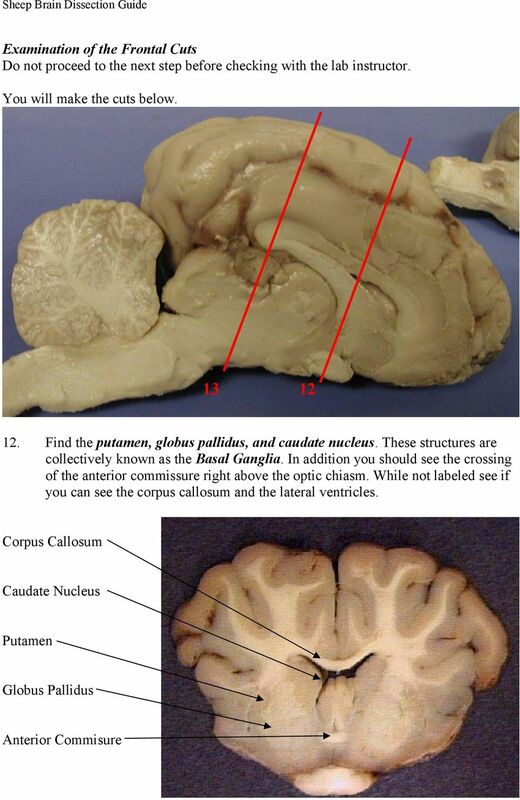 CJ Shuster Lab Addenum Brain Anatomy & Dissection Guide 1 BRAIN ANATOMY (Adapted from Johnson, Weipz and Savage Lab Book) Introduction The brain is the largest and most complex part of the nervous system. Brain Tutorial. Gross Anatomy Lab #21. Fall 2015 Modified from Dr. Len White Brain and Behavior Many images from Neurosciences, 5 th edihon. 1. Which of the following is NOT part of the diencephalon? 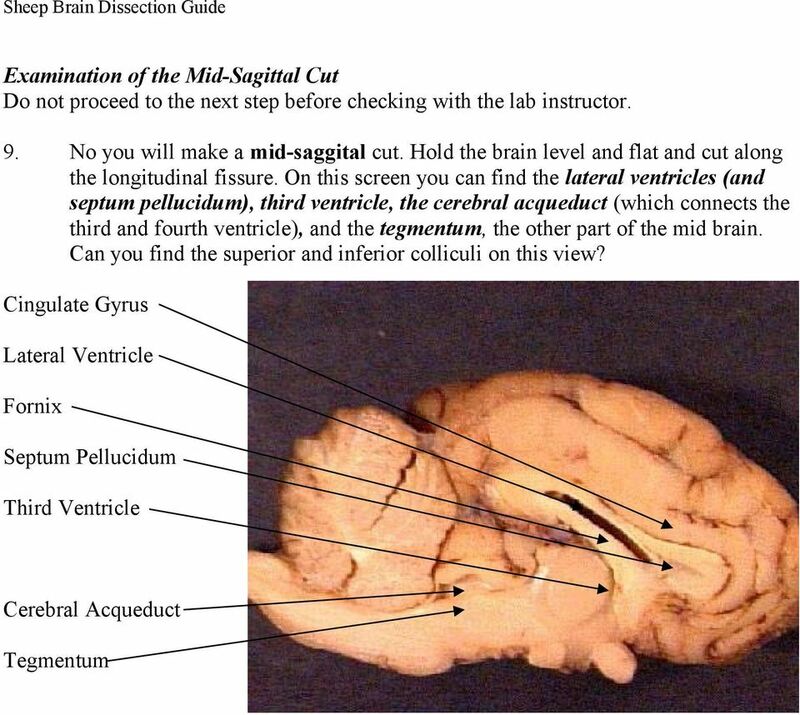 a. Pineal gland b. Tectum c. Interthalamic adhesion d. Hypothalamus e.
Distance Learning Program Anatomy of the Human Brain/Sheep Brain Dissection This guide is for middle and high school students participating in AIMS Anatomy of the Human Brain and Sheep Brain Dissections. CHAPTER 11: NERVOUS SYSTEM II: DIVISIONS OF THE NERVOUS SYSTEM OBJECTIVES: 1. Outline the major divisions of the nervous system. Rosen Educational Services materials copyright 2011 Rosen Educational Services, LLC. All rights reserved. MITOCW MIT9_14S09_lec33-mp3 The following content is provided under a Creative Commons License. Your support will help MIT OpenCourseWare continue to offer high quality educational resources for free. 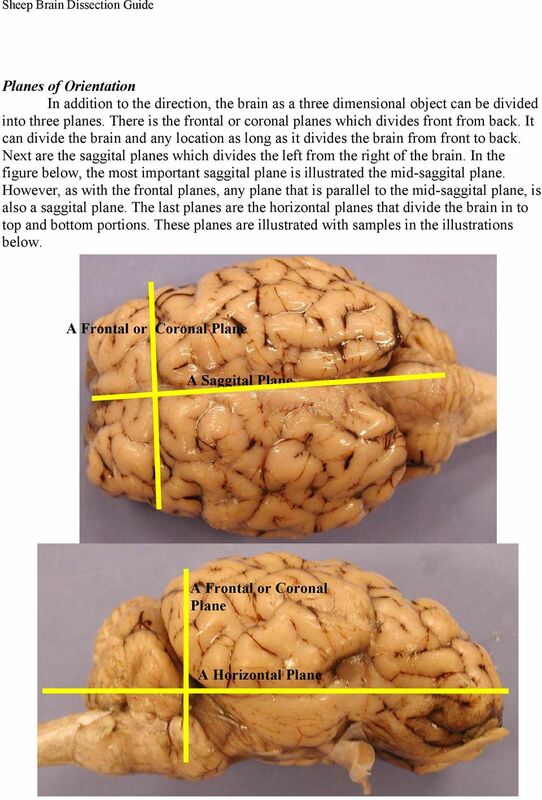 Anatomy of the Brain > 1. Figure 1. Eight bones form the skull and fourteen bones form the face. Essentials of Human Anatomy & Physiology. Chapter 7. The Nervous System. Slides Lecture Slides in PowerPoint by Jerry L.
883 Hypothalamus HYPOTHALAMUS Introduction The hypothalamus is a very small, but extremely important part of the diencephalon that is involved in the mediation of endocrine, autonomic and behavioral functions. The Brain & Strokes Your brain is the most complex organ in your body. It is the command centre for everything you do, think, sense and say! It has over 100 billion special nerve cells called neurons. 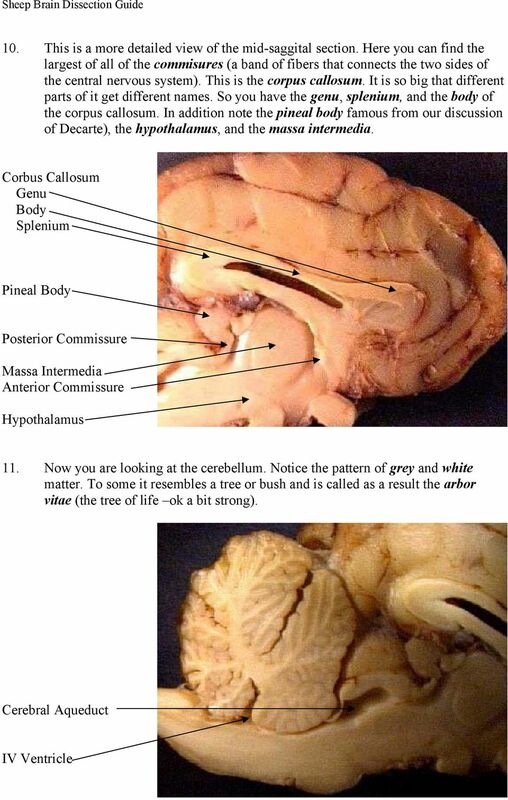 About Brain Injury: A Guide to Brain Anatomy Information from http://www.waiting.com, 1997-2002, Becca, Ltd.
Parts of the Neuron. Cortex is Gray Matter 1/22/2010. Gray & White Matter. What is the difference between gray matter and white matter? 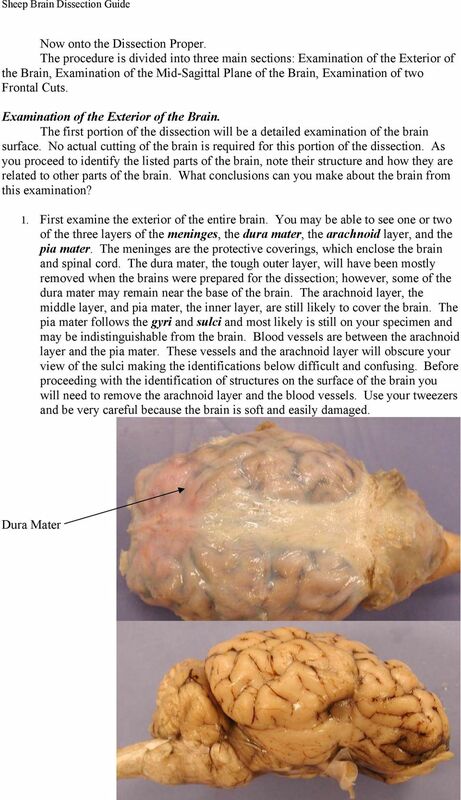 Book Fig.1.1 Parts of the Neuron What is the difference between gray matter and white matter? Although blue in this figure, the myelin sheath is actually a white, fatty insulating coating on many axons. 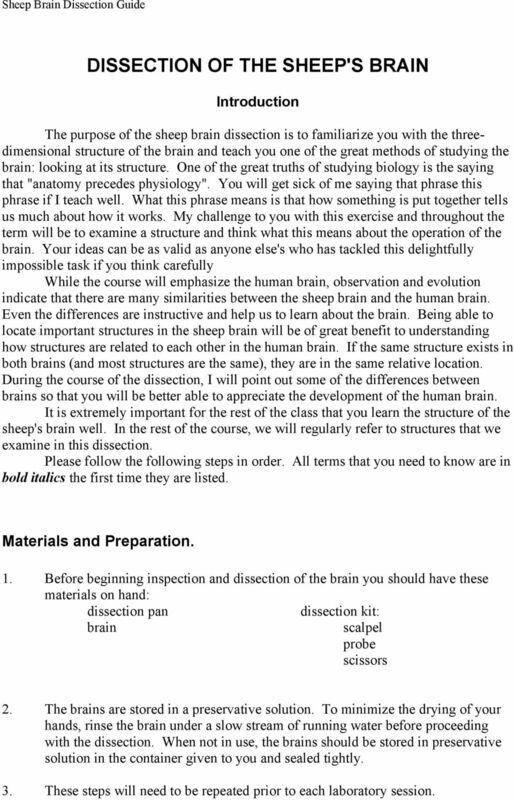 The Basics: from Neuron to Neuron to the Brain Document Overview: Description of Activity Part I. Neuron Part II. Action Potential Part III. Neurotransmission Part IV. Specific Neurotransmitters Part V.